Bishop William T. McAlilly of the Nashville Episcopal Area of The United Methodist Church announced today his intention to appoint Rev. Pat Freudenthal as the superintendent of the Red River District in the Tennessee Conference following Rev. Dr. Ken Murray who has announced his retirement effective at the Tennessee Annual Conference this year. Freudenthal will assume the new role beginning in July of 2019, with the setting of new appointments at the 2019 Annual Conference session. Rev. Freudenthal has served as the Senior Pastor of Rehoboth United Methodist Church since 2015. A graduate of Middle Tennessee State University with BS and Master of Education degrees, Rev. Freudenthal taught middle school science for 18 years at University School of Nashville. In 1999, she answered a call to ministry and began seminary at Vanderbilt Divinity School. While attending Vanderbilt, she served as Associate Pastor of 61st Avenue UMC and as Youth Pastor at Bellevue UMC. Following graduation from Vanderbilt Divinity School with a Master of Divinity degree, she was appointed Program Director of Community Care Fellowship (CCF) and, in a cross-racial appointment, as Associate Pastor of Nancy Webb Kelly UMC where she later became the Senior Pastor. While continuing her role at CCF, she also served as senior pastor at Trinity United Methodist Church. In addition, Rev. 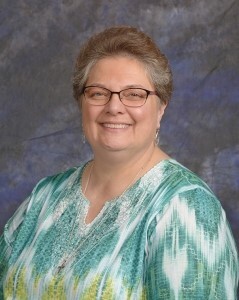 Freudenthal has served on the Conference Mercy and Missions Committee, is the current vice-chair of the Board of Ordained Ministry and is the current chair of the Conference Relations Committee. A native of Nashville, Pat is single and lives with two very spoiled dogs: Mollie and Gracie. She is a doting aunt and great-aunt to six nephews, one niece, three great-nephews, and five great-nieces. She enjoys music, the outdoors, swimming and spending time with her mother and extended family. Rev. Freudenthal’s replacement at Rehoboth United Methodist Church has not been named. The bishop and cabinet will discern the best possible missional appointment for this church as well as all churches in the Tennessee Annual Conference during the appointive process this spring. The projected appointments will be announced in April and the appointments will be finalized during the 2019 session of the Tennessee Annual Conference.